Sensory input is projected onto the cortex in a fairly schematic way, well known to visual, auditory etc. physiologists. The motor output emanates from the cortex and reaches the effectors by a route which is again quite direct. We know that the effect of the input onto the output changes in the course of a life time, the change being called learning, conditioning and the like. 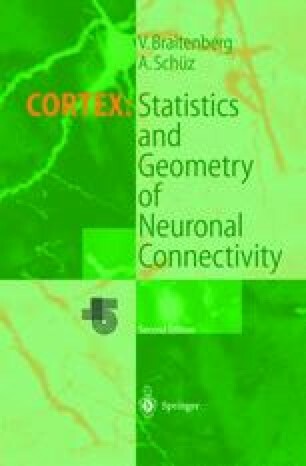 This implies necessarily that the routing of signals through the cerebral cortex is variable, and as long as we consider fibres and synapses as the channels through which signals travel, we must conclude that learning (conditioning etc.) involves structural changes in fibres and/ or synapses.